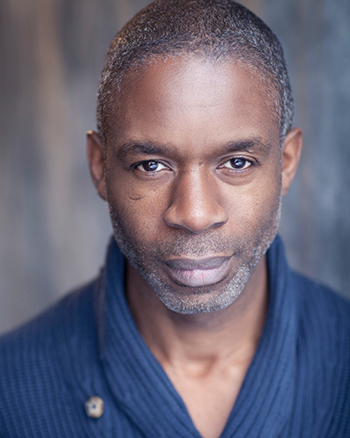 Afridiziak Theatre News caught up with renowned British actor Wil Johnson ahead of his role in Winsome Pinnock’s Leave Taking, which has been revived by director Madani Younis and is playing at the Bush Theatre until 30 June 2018. 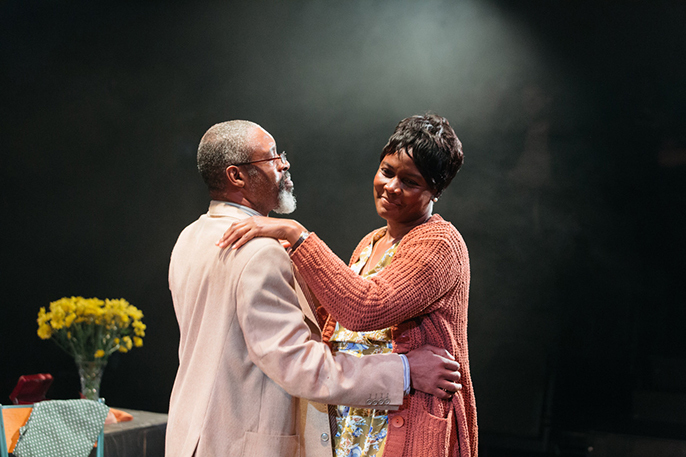 For those of us who are unfamiliar with Winsome Pinnock’s classic award winning play Leave Taking what more can you tell us without giving too much away? 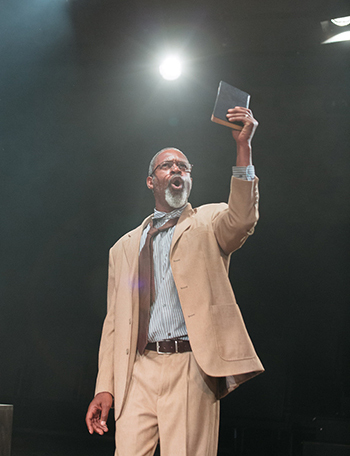 The best way to describe this fantastic play is to say that it explores the relationship between the past and the present told at the beginning of the Windrush generation. The story talks about the people who were left behind, children came through but some were left behind, parents came through but some were also left behind. Relationships were split up and made up on this journey and the play explores all of the worlds left behind by all of those people ready to make that journey to a new life in an unknown world that was always seen as a home from home. It's about leaving an old world to enter a new world which is full of unknowns and strange things. A world where you have to relearn everything you thought you knew and forget the things you may have always known. At the same time you have to figure out where do you fit in? There were a lot of culture clashes and racism in this new society, Britain which was supposed to be a home from home was a challenge, it was difficult for that generation to find their place. So much of the rehearsal process has been me drawing from my own memory and life experience. It is very rare to be part of a production that reflects your real life so fully. There are individual themes but also universal themes of mother and father, what our parents want for us as well as what we want for ourselves. These are themes that you can apply anywhere in any culture because they are universal. What can you tell us about your role as Brod? Brod is a very very interesting family friend, he is that uncle who has always been around and will always be around. I based this character mainly on my dad’s older brother, but he also has elements of other men in my own family. The play reflects my own Jamaican background and there is so much of this play that takes me back to growing up in my house. The characters in Leave Taking grew up in the same area in Jamaica and even though they are not related by blood they have been around each other for so long and come up together in a tight knit community now they are in England. That bond gets even stronger when you are in a new world as these are the people that you trust and share a bond with. They are almost closer than brother and sister, nothing sexual or romantic, just a pure friendship that also has a spiritual connection, so it transcends normal friendships. He gives counseling and guidance to the younger ones and reminds them of times in Jamaica. He is that guy, always there when you need him. How did you prepare for this role, and what made you interested in taking part? I’ve known Winsome as an artist for over 30 years, we go back a long way. I had already seen and read this play before getting involved on this revival, I have to admit it is an easy read as it speaks directly to me from my Jamaican culture. Reading the play was like reading my own life story, and when I read Brod I saw three of my uncles combined in one man. He is someone that is always there for you and ready to support you no matter what you need. In terms of preparing for the role? I talked to a lot of my family asking them if they remember certain things and it was very helpful in creating this character and shaping him. In my development of this character I drew from personal experiences as so much in the play was very representative and reflective of those experiences. It was my story. The culture, the similarities with mother and father, the voices, words, mannerisms. So much of the rehearsal process has been me drawing from my own memory and life experience. It is very rare to be part of a production that reflects your real life so fully. It has been an easy and pleasurable experience working with everyone I have to say. A real pleasure and joy. How relevant do you think the play still is today in Britain? (After a bout of laughter) Completely relevant! It is a classic play. It's a timeless piece that captures a particular moment in history that changed the face of Britain today. This is why it is so important for plays like this to be rediscovered and rebooted for a new generation. I'm so pleased that it was brought back as there are so many themes that are relevant today and I hope that it will make people think and recognise that some things are still not changing, as well as recognising and celebrating what has changed. These are things that we need to think about and discuss. Winsome is one of our most iconic writers and her stories need to be told up and down the country. I want people in Birmingham, Bristol and Manchester to see this and keep the narrative alive! What message do you want the audience to take away? I want people to go home speaking the Jamaican lingo. I want people to come away with a magical wonderful experience that lives on in their minds, conversation and interactions. I want the audience to leave and rethink life from another perspective and understand things in a new way. It's so powerful for the audience to learn something from this and open their mind to what the play is really about and think about its place in the world, if that happens they will come away with something powerful. I want this to touch people on a spiritual and psychological level. It is so easy to entertain and pass a couple of hours but we really want to connect with the audience and make them think. If they come away with a new perspective, now that’s the difference. I’m interested in people still thinking about this play and its theme three to four weeks later. This may be a world that they are not familiar with but we still want them to be touched by it. You have done so much in your career and maintain an international presence. How do you stay motivated and fresh for new roles and opportunities? I’m always looking for ways to reinvent myself and challenge myself so that I can stay connected and alive. I’m always looking for projects that push me and where there is a chance for failure. I like to push myself out my comfort zone. Even in this play I may feel connected to the characters but it is still a challenge to put this across in a convincing way for a new audience in a new time. It’s like an experiment that you hope is going to work. I mean my dad is coming to see this production and if I can convince my dad then I’ve done my job. So much of my character is based on my dad's older brother who passed away, so if my dad can see that I am being true to his character then I have succeeded. My dad was my age when this play was first written and performed, so I’m playing my dad’s generation in the 80s. It’s a world that I have lived in and grown up with but not ever performed so I cannot flop. What has been the most exciting or difficult role to date? Oh my days! They are all difficult! They are all challenging as you want to exceed in all of them and do the best work possible. Getting a role in an American TV show (Outlander) was a challenge in itself, here I am this black British guy coming over and playing one of them. That was one of the most nerve wracking things as you have to convince the whole of the US in your accent as well as your acting. Fortunately it went really well and many of my stateside friends called to congratulate me on my accent. That was definitely one of the most challenging roles and you wouldn’t think that it would be as we see so much of their culture growing up with all of the Hollywood movies, but it is still not that easy to do. As an actor you have to work really hard to deal with dialect and the different pronunciations of words, you even get that here in the UK from North to South. There is no guarantee that it will be great and convincing. I am confident but there is always that voice in the back of your mind that is unsure. But I like the challenge. I love the challenge of changing my look, my voice, and my expressions. I don't want people to put me in a box. I’m an actor. Whatever role you put in front of me I will play.